I completed The U.S., Europe, And The Second World War- Intersections In 20thCentury History study abroad program for my STEP Signature Project. 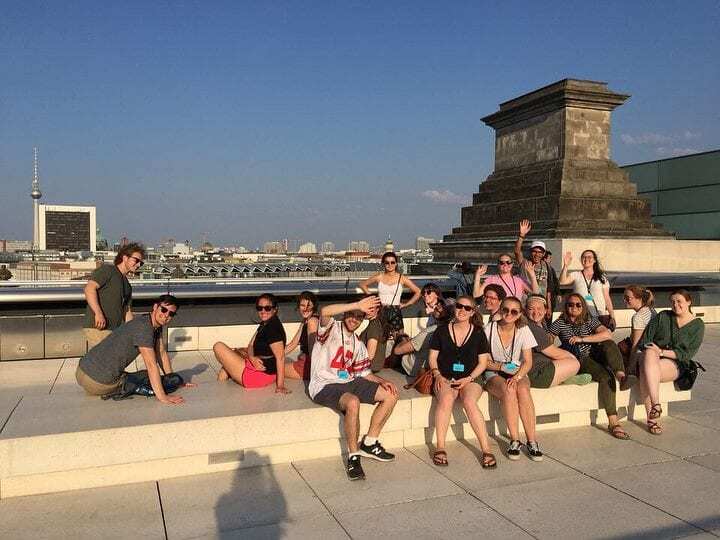 In this program, our group visited World War II sites in London, Bayeux, Paris, Kraków, and Berlin, focusing on the different representations of the war in each country. My STEP Signature Project transformed my understanding of myself by making me more aware of who I am and increasing my confidence. Before the program, I had never traveled abroad and was anxious about the difficulty of navigating foreign countries and the language barrier in non-English speaking countries. While traveling I came to the realization that I need to adapt to each city and give my best shot at overcoming obstacles without fear of failure. This mentality allowed me to challenge myself to grow in each city. I realized the vastness of our world while jumping to each place. A several hour bus ride could leave you in an environment that permeated a completely different culture. This was eye-opening to me. In addition, overcoming communication difficulties and traversing each city’s public transportation left me with the confidence that I could travel and achieve success anywhere I desired. By the end of the program, I learned that I am someone who enjoys exploring new territory and challenging myself. I experienced several transformations throughout the duration of My STEP Signature Project. These changes occurred over the course of the program and were most recognizable upon reflection. The language barrier in France, the different cultures, and being cut off from cellular prompted the most change. Going into my program, I expected to run into communication difficulties. Specifically, I had heard from previous participants in the program that France was a difficult country to navigate. Prior to arriving in France, I had never been in an environment where everyone surrounding me spoke a completely foreign language. The only French I knew was a few basic sayings. Upon arriving in France, I faced the language barrier immediately, not having a clue what locals were saying to me. For example, when ordering food at a restaurant, I was only able to order by pointing since I could not speak verbally with the waitress. At first, this experience was rattling but I quickly learned to adapt and communicate the best I could verbally and non-verbally. Learning to adapt to new environments made me more confident in my abilities to travel foreign countries and appreciate the differences in humanity. Experiencing completely different cultures in each city gave me a greater appreciation for the vastness of not only our world but humanity. 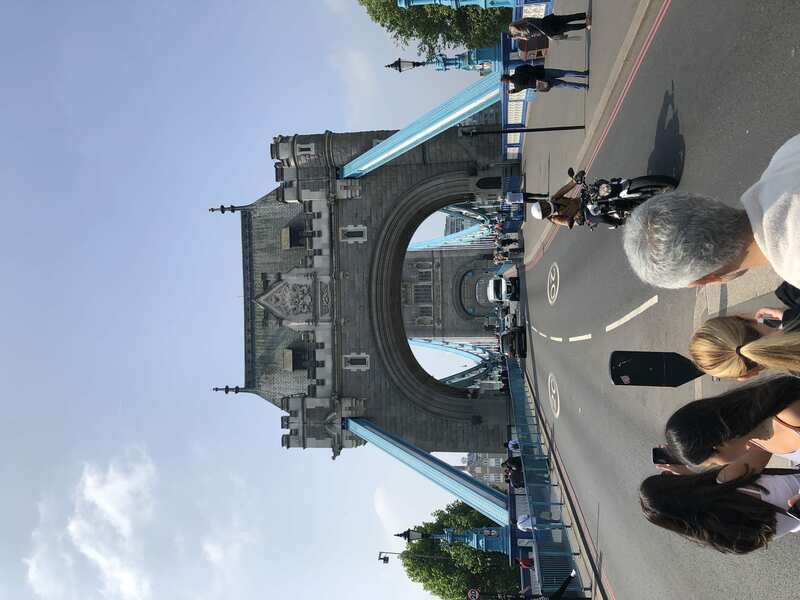 We began the program in London, where taxis buzzed, and locals and tourists alike busily walked the city. The environment in London was very rapid with the city always seeming to be alive. On the contrary, the city of Bayeux, France, was the polar opposite, a small city with much fewer tourists and a laid-back lifestyle. By five in the afternoon, many of the local shops and restaurants closed their doors for the night. This contradiction in lifestyle, not to mention language, demonstrated the amazing differences in humanity. I accepted challenges each city offered and tried my best to overcome them. My freshman year one of my uncles passed away. His life motto was that you should not judge your wealth by the amount of money you have, rather it should be judged by the number of friends you have. Spending every day around the same people for almost a month allowed for incredible relationships to blossom amongst my study abroad classmates. We all shared a class together to prepare for our program beforehand but did not get to know each other on a personal level. Once we came abroad and began exploring the various countries together, creating unforgettable memories, bonds began to form and grew stronger as the trip progressed. For example, in Bayeux, our nightly picnics served as an amazing bonding time. I am grateful to have had the opportunity to venture around our world with twenty-three amazing people who I can now call my friends. The personal changes I underwent during my STEP Signature Project are applicable to my academic, personal, and professional life. Academically, I have developed a new respect for international students who come to Ohio State and pursue an education. I plan on interacting with international students more often to help ease them into Ohio State’s new environment as I now understand some of the difficulties of going to a new country. Personally, I have become confident in my abilities to travel the world and develop relationships with new people. I plan to apply this confidence on my future endeavors abroad as I explore the world. Professionally, I think it is critical to have a strong worldview and understanding of the variety of cultures that exist in our world. I want to apply my deeper understanding of our world to my business future when I interact with international companies or clients and make decisions that could affect people in another country. 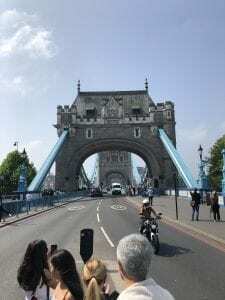 During the May of 2018 I took a course on the study of World War II and traveled to London, Normandy, Paris, Poland, and Berlin to enrich my studies with international experience. I chose the topic of the Blitz to become an expert on and give an oral report to my fellow classmates. With my program group, we visited monuments and museums dedicated to the different aspects of WWII that corresponded with a nation’s involvement and experience. 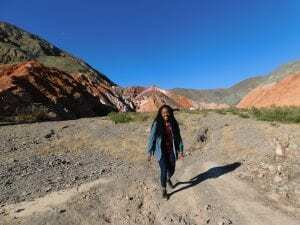 While traveling through five cities with twenty-three of my peers and two professional adults, I ended up learning more than I thought I would about myself. Before this trip I felt that I had a good grasp on who I was, including my personality, work ethic, and tendencies (both good and bad). However, about halfway through the trip I realized a common thread about myself. I have always known that I am extroverted. I love to talk to others, share my stories, say hello to people I know, and find connections between myself and others. But I never knew the extent of my extroversion until this trip. The majority of my study abroad peers were introverts, so it was a challenge for me to balance my extroversion with their introversion. I constantly asked myself questions about how they thought, opposite to my own thinking. Do they want to chat right now or are they taking time to recharge? Am I talking too much or do they want to share more? Should I talk less or does that feel like I’m bottling myself up? After a few conversations with my introverted friends on the trip about the topic, they informed me that they needed my introversion. While I was nervous about smothering them, they said that my outgoing nature brings them out of their shell, making them more comfortable to share what they are thinking. A friend of mine said “your confidence brings people to you and causes them to join you in whatever you do.” I’ve always felt self conscious about my sociableness, thinking that it was too little or too much, never the right amount. After this trip and interacting with the incredible people I traveled with, I realized being an extrovert is one of my greatest strengths. It helps me bring out the best in others and myself, leading to better relationships and a greater understanding of others and the world we live in. It causes others to depend on me at times, occasionally having to be the ‘mom’ of the group. The ‘mom’ tends to have a negative connotation in group dynamics, but I realized that I like being a leader of a group. My peers respected me and trusted that I would do what is right and best for the group. To me, that isn’t stressful or demanding, it’s helpful and rewarding. Being extroverted and a leader were two highlights of myself that I fully discovered on this trip and recognized as keys to being the best version of myself. The way I see myself has transformed into a more confident and happier person because of my experiences traveling abroad. that led to this change/transformation. I feel so lucky to have traveled with such extraordinary people as the ones I lived with for three and a half weeks. Our professor said at the end of our trip, that he had never had a group who truly took care of each other and meshed so well as we did. We all accepted each other as a whole person: likes, dislikes, ways of thinking, interests, beliefs, and backgrounds. While some people were just like me, others were not, but that meant I had more to learn. At the beginning, I was nervous my outgoing nature would be off putting within the group of introverts on the trip. However, one of the first nights of the trip, in London, I grabbed dinner with two friends on the trip, both introverts. I told them about my worries and one of them said not to worry. She said that I was an active listener and for an introvert that is extremely important. Active listening means that I am truly hearing what they are saying and not just listening to respond like most extroverts do. She said that without the few extroverts on the trip, none of the introverts would speak to each other. So while I felt as if I was making people uncomfortable, she reassured me that I was bringing balance to the group to make it better. I learned through my relationships with my peers that my strengths are making connections, sharing about myself, and learning about others too. 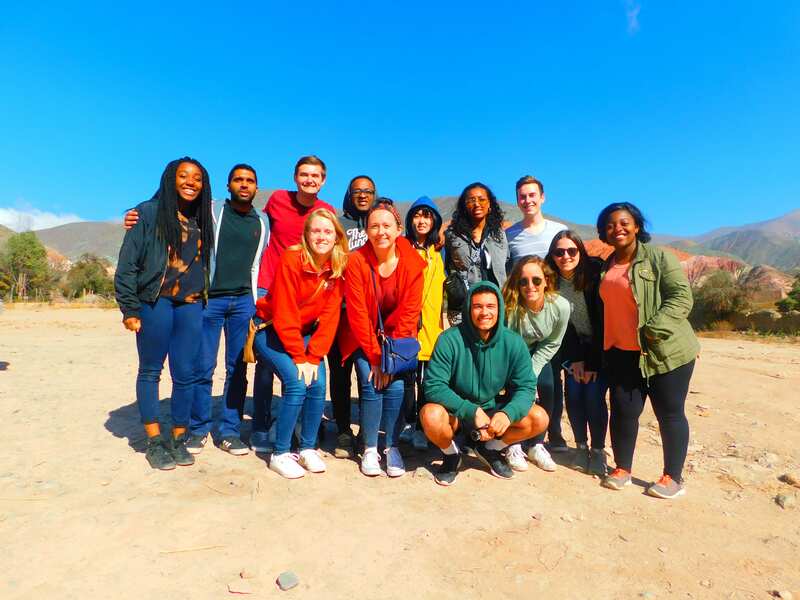 Before the trip began in May, I spent the spring semester researching the cities I was going to visit and reaching out to friends and family who had traveled abroad before. I created long, detailed lists of places I wanted to see, activities I wanted to do, and foods I wanted to eat. I didn’t have everyday planned out, but I had a general idea of where I wanted to go in each city. I quickly realized, once on the trip, that I was one of few people who did this kind of planning. Everyday I woke up with a few sites to see and I found that people wanted to join me, not just because I had a plan, but because they trusted my leadership in getting them there and having a good time. At times I encountered obstacles such as losing part of our group, misreading directions, and time management to get to places promptly. These challenges meant I had to be the ‘mom’ of the group by checking up on everyone, counting heads, and speaking for our group when asking for help. I realized I liked being in control of a group, even when it was difficult. I didn’t always receive a thank you for my efforts, but I felt satisfied on my own. A few of my peers said at the end of the trip that they appreciated my planning and said that they would not have had such an amazing trip without it. Their words meant so much to me and made all of the hard work pay off. When thinking about this trip before I left, I wondered if I was going to be different when I returned. I felt secure in who I was, in my values and ideas, and how I interacted with the world. I thought ‘transformation’ meant a total and completely contrasting change. But in my case, it was a small shift that altered how I saw myself, which changed so much. Coming back from the trip I was excited because I felt different, I felt more like myself, and less afraid to contain it or hold back. My parents saw it. They said I seemed more at ease, and when they saw my pictures from the trip, they said I never looked happier. This happiness, security, and confidence in myself is something I can take with me throughout my life and into the future, just like the memories I made on this trip. professional goals and future plans. This trip helped me become more confident and realize my strengths and how I can apply them to my future goals. Through the friendships I made, I realized how I interact with others. I tend to be compassionate and consider how my actions and the actions of the group can affect each and every person involved. I remain conscious of decisions being made and how it intercedes with the information I know about the people I am working with. This translates to my professional goals, mainly, to help others. I know I want to pursue a profession and career that revolves around helping others to the best of my ability by using my knowledge, skills, and strengths to make the lives of others better. I like to take initiative, as seen in my prior planning for the trip, and include others to share in a goal. Whether I end up in advocacy work, law, teaching, or something else entirely, I know that if I use my outgoing nature, dedication to a plan, and ability to connect with others, I will be successful no matter what I do. I gained this confidence through this trip and it emphasized my goal to devote my career to help others. 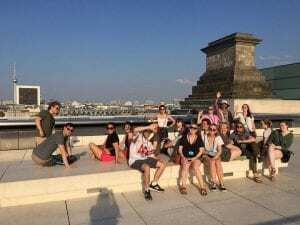 Most of our wonderful group on top of the Reichstag in Berlin. Myself and a few OSU WWII friends mimicking the Louvre in Paris. My STEP Signature Project was a semester abroad at Bocconi University in Milan Italy. I was able to spend 4 months in Europe, traveling, learning and embarking on a continuous journey of self-discovery as I faced new challenges and new experiences. I had always assumed that I had become a pretty independent person. I moved 10 hours from home for college, I was always working, and I saved up enough to go abroad for a whole semester. Little did I know there was an entire world out there waiting to tell me, “you’ve seen nothing yet.” A 10-hour plane ride suddenly feels like a world away from home. And then they don’t speak your native language; moving away from college didn’t seem like such a big deal anymore. I was constantly reminded of the privilege I have being born in America. Living with those from all around the world, how it was harder for some to travel, and certainly harder for some to get to Italy. But on the other hand, I learned to slow down. European culture although “easy” to adjust to is so different from what I have lived in the past 20 years. I was constantly reminded to take a minute, look around and remember the history that you are surrounded by. Europeans live differently, and have given me a more appreciative outlook on life. The relationships I gained shaped every experience I had while abroad. The people I was able to see the world with, made a world’s difference. I did not know anyone going into this trip, other than vaguely knowing the other few Ohio State students. We went to dinner that first night and invited everyone that walked into the local pizzeria looking a little lost to sit with us, assuming they were other exchange students. Those connections, made on the first night lasted 4 months as we traveled to 14 different countries together. From freezing trips to Germany to laying on the beaches of Barcelona, we did EVERYTHING together. It was with them that I was often reminded to slow down and take everything in. One friend of mine, she always wanted to talk to the locals. It didn’t matter where we went, or how bad the language barrier was, she made an effort to talk to anyone and everyone. We then were able to enjoy so many local restaurants and activities that allowed us to feel fully immersed in European culture. The moment I truly realized how different European culture was, in the sense that they seem to just enjoy life more, was when we walked into a local pub in Dublin. Everyone was laughing, sitting back and enjoying fresh, locally brewed Guinness awaiting St. Patrick’s Day. There was a genuine feeling in the air you just don’t always feel in America. So we joined in on some conversation, and felt right at home. It was always the little things like that, meeting locals, finding local places, and exploring the cities that affected me most. Not touring the museums, going in the palaces or to a touristy restaurant. But the free tours by locals, and random churches where the back doors were open or the restaurant that didn’t even have a sign outside. Recently I started my summer internship. Working 40 hours a week, a set schedule, and really, it’s the beginning of the rest of my life. This semester could not have had better timing. I was able to have a transformational experience right before I settled in to what the next 40 years of my life just might look like. Things will change, I know, but for the time being, this feels like the start to forever. I needed to be reminded there is a world out there to see. That there is always more to discover, and learn. Professionally this development has given me the confidence and drive to continue to seek experiences abroad, it is so important especially in business to have a global outlook and I feel having developed one, I can continue to use it to my advantage. And academically? This was the most challenging semester thus far. Bocconi University is probably the most well-known business school in Europe. Balancing school and my experience abroad was an extremely hard challenge that took a lot of time management skills. It has given me the confidence that I will be able to accomplish anything. My STEP Signature Project was a “May-mester” study abroad to Japan with the College of Public Health. 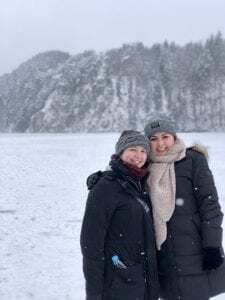 This two and a half week study abroad included visiting multiple cities in Japan learning all about Japanese public health initiatives and how Japan has become one of the most successful countries in the world in regards to life expectancy and healthcare. The first week and a half we attended classes at two different universities in Tokyo and learned about different public health challenges Japan faces, and the last week of the study abroad we went to different cities to learn about their respective health issues and what was done to aid them, such as learning about the atomic bombing of Hiroshima and its health and historical effects on the nation. 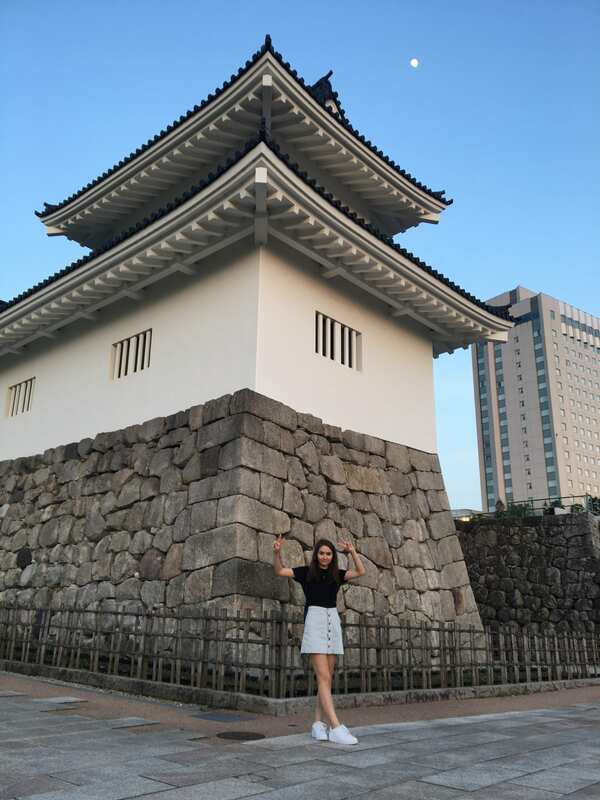 During my time in Japan I became a much more empathetic person and learned that it is extremely important to look at an issue within the context of other cultures, whether it be historical, political, related to public health, or any issue at all. Having never spent a long time abroad in a culture different than my own, I would approach things from a singular, upper-middle class and white American standpoint and at times would not understand or empathize with people outside of my culture as easily or readily. Going to Japan and meeting many amazing people while learning about public health issues that the country had to face in the past, some due to the Japanese and American conflict during World War II made me realize that I need to be much more critical in my thoughts on the United States. 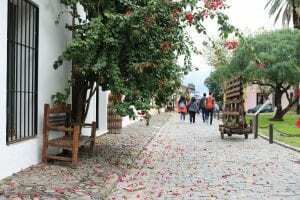 The United States has much to learn about public health systems, and this study abroad transformed me into realizing just how important it is to look to other countries while trying to improve your own. Before beginning this study abroad I only knew of Japan from history classes and popular culture. While I had learned of the atomic bombing of Hiroshima, I had never fully understood the after-effects of the bombing and amount of human suffering that occurred. My view of the historical event became much more real as I walked around the city of Hiroshima and saw old buildings that had survived the bombing, and photos of people who had been killed or maimed on that day. Reading journals of children who had been hurt or died and listening to the survivors’ video accounts of the day at the Hiroshima Peace Memorial Museum was one of the most profound experiences in my life. It has encouraged me to share more about the dangers of war and nuclear weapons and become an advocate for peace right here in Ohio. My views of world international relations have changed and now I pay much more attention to news nuclear threats globally. 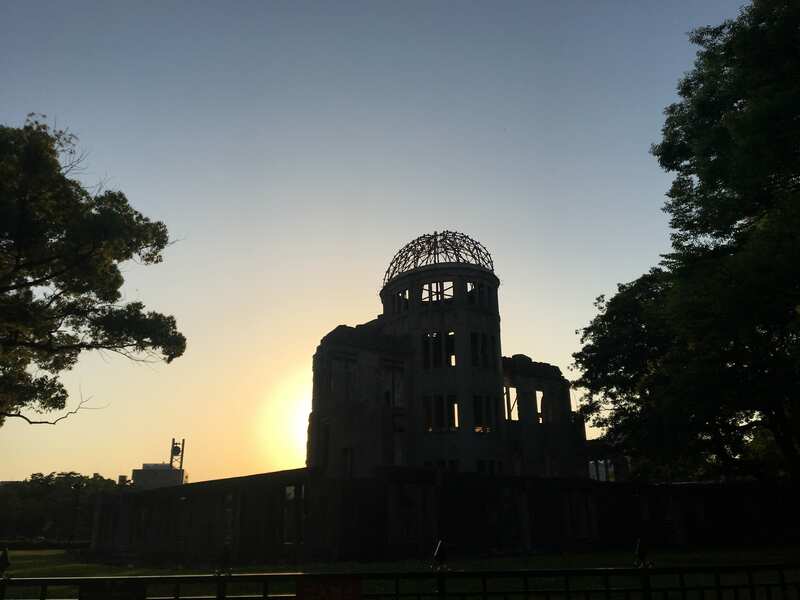 I gained a much stronger sense of empathy during my two day stay at Hiroshima, and have transformed into realizing that no matter what the situation may be it is important to protect the health of innocent people anywhere around the world. 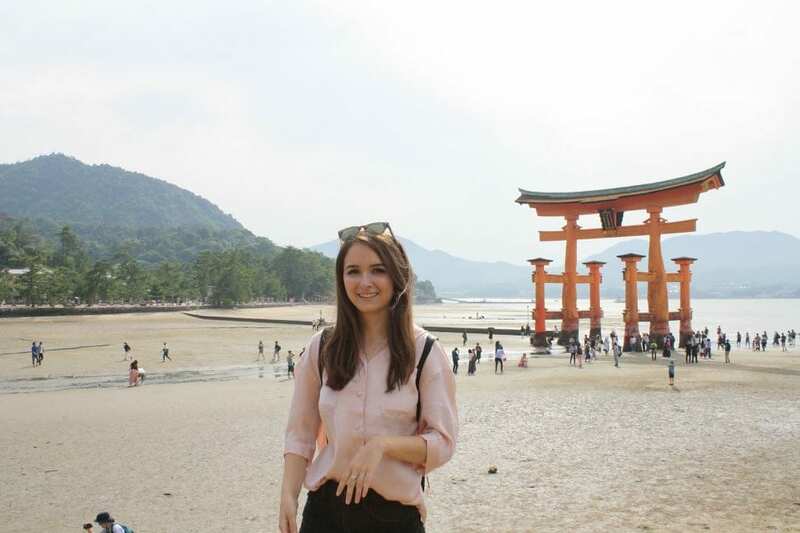 My views of public health also transformed and grew during my study abroad to Japan. While every country faces different public health threats and issues, I learned there is also much similarity. We learned of Itai-Itai disease in the city of Toyama, a large cadmium poisoning in the waters of the area that killed and severely debilitated many women in the 1940s and 1950s. While the actual disease is different than instances of public health disasters in the United States, there are many parallels between the case of Itai-Itai disease and the Flint water crisis. I’ve discovered that there is much the United States can learn from how other countries deal with these massive outbreaks and that if we used the model the Japanese government took with ending the cadmium poisoning of waterways in Toyama and applied it to Flint, the benefits could be extraordinary. I had always assumed that the United States had a robust and world leading public health program, but through my time in Japan I changed my mind, and now believe we have much to learn from others to continue to improve ourselves. Another aspect of the study abroad that led to a transformation in myself were the friends I made, both the Ohio State students who I joined on the program and the Japanese college students I met while attending lectures at universities in Tokyo. Most of my friends at Ohio State University are not in a health-related major, so it was an amazing experience to be able to share two and a half weeks with students who have similar interests in public health as me. The bonds I formed with these students became incredibly strong although our time together was rather short. Speaking with Japanese students gave me a great insight into how our cultures are both similar and different, and I loved hearing their perspectives on public health. I was able to learn from everyone I met and gather different outlooks on what public health means and what we can do to improve population health across the world. This change is valuable in my life for academic, career, and personal reasons. Academically I was able to learn from Japanese professors and experts about different health systems and challenges that I would not have been able to experience at Ohio State. I was able to visit a nursing home and attend a lecture from a professor of nursing about Japan’s struggle with the aging population and high demand for nursing homes and elderly care. It was great to learn about this from somebody who actually lives it, as opposed to learning about it from a removed situation in a classroom in Ohio. 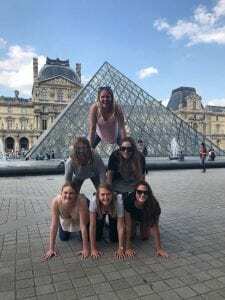 Career-wise the study abroad has helped me to hone my interests in public health and what I plan to do for graduate school and moving into a career. I would like to work in health services research and learn how to improve healthcare in the United States, keeping in mind the concepts I learned in Japan, as well as making sure to look to other well-performing countries to improve our own American system. Personally, I believe this study abroad has changed the way I view public health and has made me a more independent and confident person. Living in a foreign country where I spoke very little of the language forced me to become a problem-solver in daily life and gain confidence in my ability to live outside of my comfort zone. My time in Japan is something I will never forget and cherish for the rest of my life. I grew and transformed in many ways and believe I have become a better-rounded individual from the experience. My STEP funds went towards an education abroad May session called Between France and Morocco: Diversity in the Francophone World. The first two weeks were spent in France—one in Paris, and the other in a southern town called Aix-en-Provence, where we were placed in homestays. The third week we spent traveling to various cities in Morocco, starting with Marrakech, then to Rabat, Fes, and ending with Casablanca. Our month between these two countries we spent time visiting museums, historical sites, and visiting diverse, immigrant neighborhoods to analyze how these two countries have approached issues of identity, inclusivity, religion, and diversity in both the past and today. What about your understanding of yourself, your assumptions, your view of the world change/transformed while completing your STEP Signature Project? 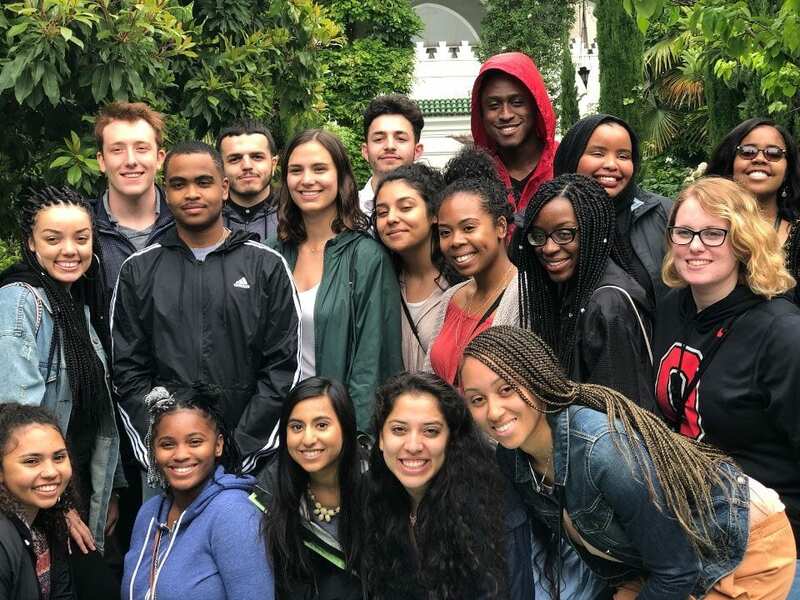 Throughout my time abroad— in two countries that I had never traveled to— I learned not only a lot about France and Morocco, but in reflection, learned a lot about America too. As this course was a history course, I unsurprisingly learned hands on how much a country’s past histories plays in shaping what it is today. Perhaps one of the best words of advice was given to us by Professor Aboubakar Jamai of IAU—he told us not to always take things as they are—always dig deeper to discover the layers of complexity. And because of this, we shouldn’t always be so quick to judge a country, its people, religion, or laws because there is always more to our initial perceptions. This comment really helped me throughout the rest of the trip when analyzing different aspects among the two countries. In terms of what I discovered in my personal understanding, I found that I am always willing to try new things—especially when it comes to food! I was hesitant, however, to try out my French, but I soon realized that it is the effort that counts and that most people are willing to work with you to have a conversation. I was quick to dive into creating new friendships and making the best use of my free time as possible. I love my sleep, but during this trip, I saved most of that for the bus, as I wanted no time to go to waste. I was, however, shock when I realized how home sick I had become so quickly. I had been itching all semester to be abroad for a month experiencing new things, seeing new places, and interacting with different people. I had the expectation of falling head over heels with France, specifically Paris, but I was surprised that I had a difficult time finding the enchantment of the city that I expected there to be. I realized that you can never really know a place until you’re on the ground experiencing it in its entirety, all forms of the place interacting with each other. I had learned a lot about Paris from my French and history classes, and of course, had seen endless photos. But for me, it didn’t have the same sparkle as it did in the photos, and that’s okay, because not every place will. As a student of anthropology, one of the first and foremost things that is ingrained into our studies is notion of cultural relativism, and that cultural functions and norms that apply in America, won’t necessarily work in another country, even if the countries appear to be similar. Within my first few hours in Paris I experienced this anthropological downfall. I, and another student on the trip, were meeting up with other friends, who happened to be studying abroad in Paris, at a café for coffee. When we got there, the table was short one seat. I let my friend sit down, and I pulled a seat from an empty table nearby. Before I even had the chance to sit down, one of the waiters was there to pull the seat away from me and put it back. Sleep deprived, and already strung out on endless espressos from breakfast, I was taken aback. My friends exclaimed that it was very rude of the man to have done that. In the moment I agreed, but with later reflection, realized that it was my fault for assuming that was appropriate to do, as it usually is in most places in the U.S. The man returned with not a chair, but a stool for me. I took what was offered. He then asked my friend and I who had just joined our friends, who had already ordered, what we wanted. I hadn’t gotten money out of the ATM yet so I was just going to be there for the company, but when I told the waiter I didn’t want anything he told me that if I was going to sit at his table, I had to order something or leave. Throughout the rest of my stay in France I began to understand some of the conventions of French culture. If you are out to eat or for drinks, each individual is expected to get something of their own, splitting dishes is not as much of a thing (as experienced by some other students on the trip), but if you order something as simple as an espresso, that gives you the right to stay at your table as long as you want, even if it is busy (something we don’t tend to do as much in America. I often find that we feel much more rushed to get out of restaurants once we have finished our meal and paid). These experiences reminded me not to apply my own cultural customs and norms to another culture and that I shouldn’t judge others based on my own, despite my initial feelings thinking some of these unspoken rules were rather silly. Our second week in France we took a day trip to Marseille. We received a walking tour from Professor Yunma Marsarwa, who had previously lived four years in the neighborhood she was going to show us. As soon as we exited the bus station in Marseille, we were welcomed with a beautiful view of the city. Dr. Marsarwa allowed us to take photos and told us that those are the kinds of views of Marseille that are presented to outsiders. However, there is much more than what meets the eye and that there is a lot of poverty and minority narratives that get covered up. Walking through the immigrant neighborhoods it didn’t even look like the France that is depicted in mass media. 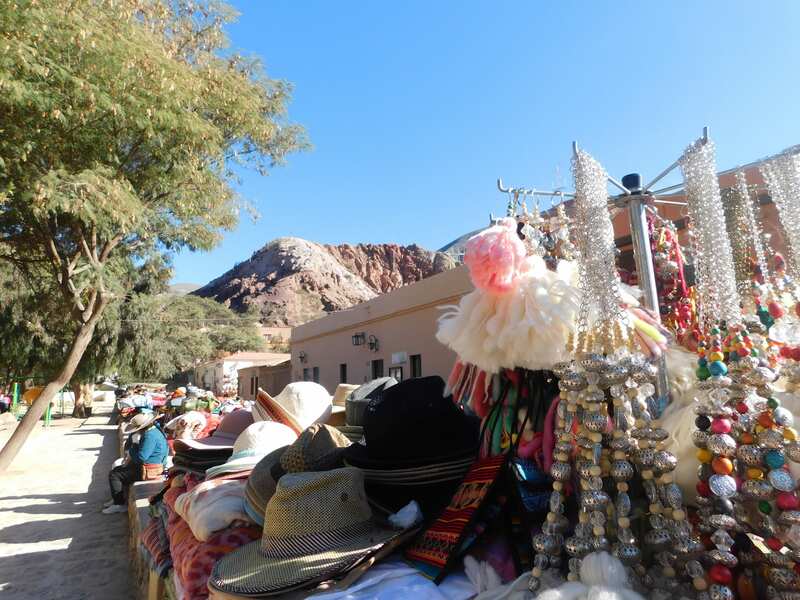 A lot of the area preserved immigrant culture in dress, food, language, and religion. Dr. Marsarwa said that many people come to Marseille and think that they are not even in France because it is so drastically different. This was a great experience in seeing how identities, communities, and histories within these areas can be airbrushed and how nearly every place has a story like Marseille, but dominant narratives prevail. Seeing parts of Marseille that aren’t typically considered places to visit was a reminder to always ask what is not being told and to seek lesser-known areas. A large portion of our trip was dedicated to discussing Islam in both France and Morocco. Today, as many know, there is a widespread assumption across the Western world that Islam equates to terrorism and terrorism equates to Islam. In France we had the opportunity to tour the Frejus Mosque and speak with a group of men and women who practice Islam. In this time, the individuals were so willing to open up to discuss and answer questions about Islam that may seem rather taboo to Americans. They were extremely kind and tickled by our curiosity. One woman was almost brought to tears because she wanted to stress that Islam is a religion of love—not what we see portrayed in the media—and that she wanted to make clear that terrorists who claim Islam are not practicing Islam the same way that the majority are—peacefully. Although this is a stereotype I did not hold, I still understood the importance of having basic conversation about topics such as these in times like today. Information is easily manipulated, conflated, or one-sided. Even though this interaction was planned through the program it did not fail to enforce the notion that talking to others or just simply having a conversation, specifically those who we may hold prejudices about, is critical in reminding ourselves that we are all human beings. Preparing a traditional Moroccan meal in the Atlas Mountains with an Amazigh family. Why is this change/transformation significant or valuable in your life?. 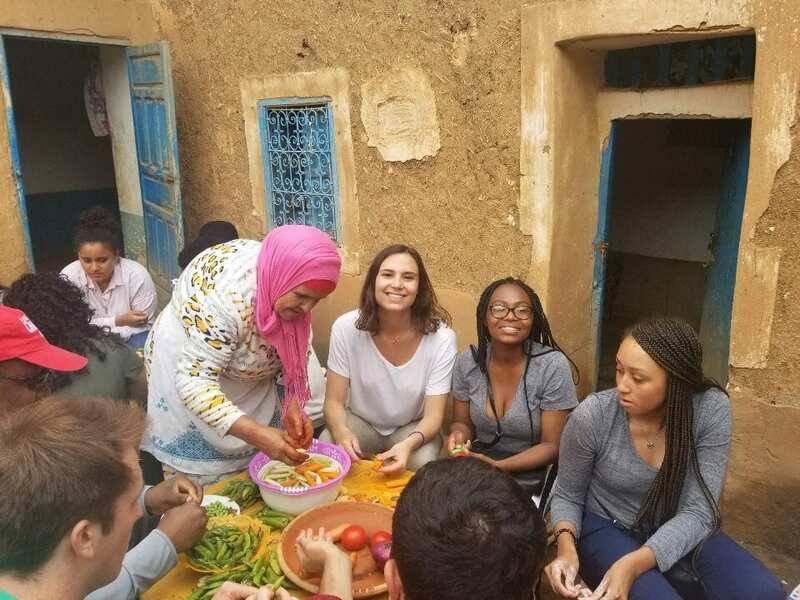 My attention was first drawn to this program because France and Morocco were countries I had previous interest in traveling to, which I could accomplish traveling to in one program. Soon after reading the course description and going to an information session, I found that the structure of the program fit perfectly in with my studies as an anthropology and comparative cultural studies major with a French minor. I have studied French since 7th grade, with the exception of taking my sophomore year off from the language at Ohio State. This was my first time I got to apply my French skills (and sometimes, lack thereof) outside of the classroom and in a real native-speaking setting. It was absolutely intimidating, but I was able to make do and learn from the interactions that I had. If anything, this has confirmed my interest in the language and makes me want to pursue it more. I know that if I want to become fluent I need to spend more time in French-speaking countries for longer periods of time. I also learned that a lot of French we learn in the classroom is not necessarily always applicable to the real-world settings. We are taught a lot of formality in language, but as we know in America, there are a lot of short cuts and slang. Picking up on some of these terms and forms helped me pass a little longer as a local, or at least a tourist who had an understanding of the language a bit better. Through lectures from professors, journalists, museum curators and just speaking with locals, I learned that you have to inspect more than what meets the eye. For anywhere really, it’s important to note what narratives are told—and be especially vigilant to the stories that aren’t told—and who is telling them. As this was a history course, we can’t always take stories for what they are, we need to dig deeper, ask more questions, and always seek a non-dominant narrative. 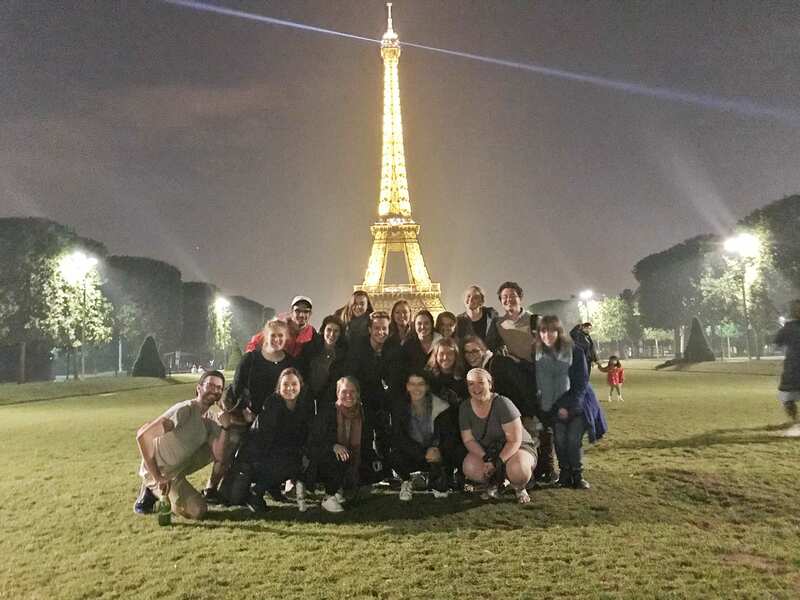 I think one of the strongest suites of this program was going outside of the tourist attractions and visiting immigrant neighborhoods in Paris and Marseille that are not typically considered attractions or important sites to visit. As each country has its own history, it is necessary to take into account past histories to understand current day issues. Perhaps the most important thing I have learned is simply just talk to the locals—ask them what their experiences are and their takes on certain issues. 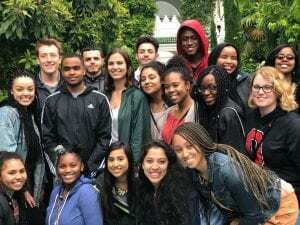 As students we can easily get worn out of typical classroom instruction, however, this trip was a refreshing reminder that I want to continue my studies into graduate school. I am sincerely driven by curiosity of others and there is plenty more for me to explore. I may not know what direction or focus I want to take with anthropology, but I know that my understanding of others, and myself, starts with traveling and asking questions. 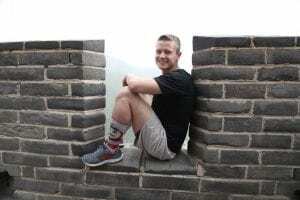 My STEP Signature Project was a study abroad to Beijing, Wuhan, and Shanghai through the Office of International Affair’s Global Leadership Academy. The main activities included practicing gymnastics at the Chinese Olympic Training Center, conducting interviews, participating in contests at the Wuhan School of Communications, and site seeing. 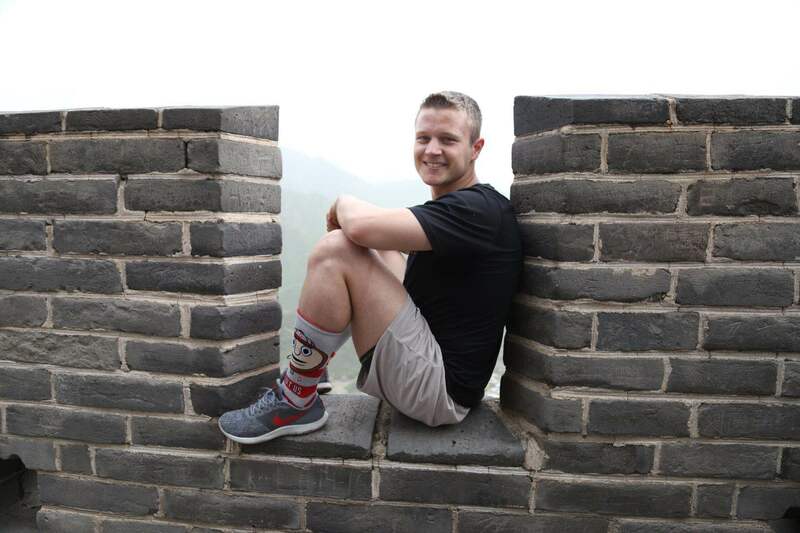 I also had the chance to practice my language skills by ordering food, reserving hotel rooms, exchanging money at the bank, and buying train tickets, all while navigating China’s immense public transportation system. Through my project, I learned that I do have the language and cultural awareness to survive in China for extended periods of time. With my double major in Chinese and Ecological Engineering, my dream career is to work in China as an engineer working on water quality. I now understand that I can make this dream career a reality. Before my project, I assumed that since China is half a world away, life must be much different from life in the United States. After interviewing people, practicing with fellow gymnasts, and living in a foreign country for a month, I discovered that life is similar. People are working towards their goals, having fun time with their friends, working hard in school, taking care of their family members, and doing everything that I do at home in my own city. Yes, some aspects of life were different, but my view that life in different countries was completely different was transformed. In China, Wechat is the app that basically combined all of America’s social media. After I met a new person during my trip, I oftentimes exchanged Wechat information with them. By doing this, I am able to keep in touch with my new friends from China! I received the contact information of lots of new friends from countless meaningful interactions. One of these interactions was morning taichi at Wuhan University. Our group was invited to participate in this martial art with retired professors from the university. I was paired with a retired history professor who his counterparts called yeye (meaning grandfather). Although we did not speak the same language, we had a “conversation” through taichi. He taught me how to properly perform his hobby and I followed. After the class was over, we had a conversation using Chinese. We talked about our childhoods, our hometowns, and our experiences. I had many interactions with old people, the people who I see as incredibly wise and inviting. Nearly every night, we went to the park, which was bustling with activity. Retired ladies enjoy dancing in the park at night. If people like myself want to join their dance, anyone is welcome with open arms. This affected me by making me more willing to accept and welcome others. Another meaningful relationship was formed at the Wuhan School of Communications. Ohio State partnered with this school for three days that were spread out throughout the month. These days consisted of poetry contests, paper cutting, speaking competitions, calligraphy, and a talent show. Every American student was paired with three Chinese students. I became close with the three students I was paired with. Even though the university I was staying at and their school were about an hour apart, we still met to do KTV, which is karaoke. Singing karaoke is a very popular evening activity for young people in China. I was the “DJ” for the night, and I enjoyed selecting songs for the American and Chinese students to sing together. I switch between one American song and one Chinese song. I loved how cultures were shared through music, and the relationships remain because of technology. This affected me by making me more willing to share my culture from others, while learning about new cultures. 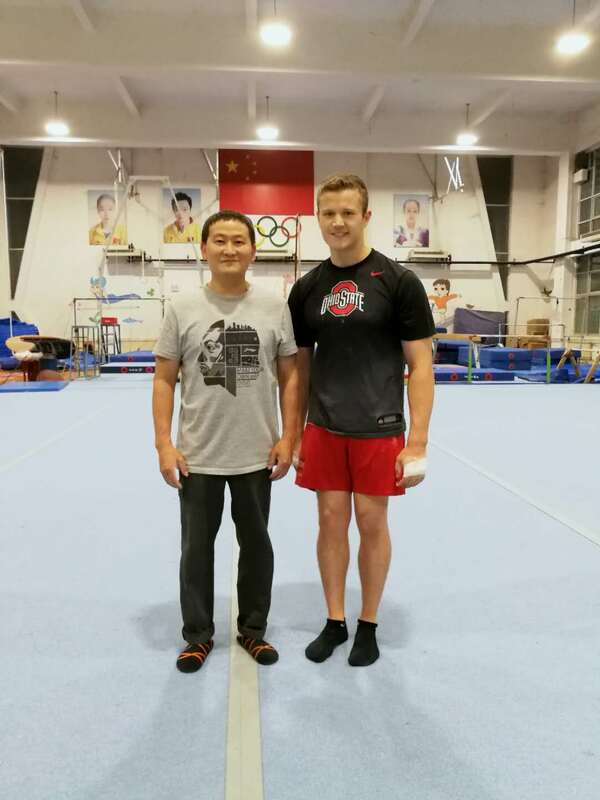 My favorite activity was practicing at the Olympic Training Center in Wuhan. I was able to practice with the Chinese team, and the experience was unique! I learned so many new drills to bring back home to my gym, and I taught some drills that I know. I got the contact information of several gymnasts, so it will be fun to keep in touch with them as we continue in this sport. Since my professional goal and future plan is to live and work in China as an engineer, having the chance to live in that country for a month was imperative to ensure that this goal is worthwhile. Making these connections will help me to know people once I move to China. I had the chance to meet with admissions counselors and professors, so this experience was transformational because I will have a better chance of getting admitted to a foreign university for graduate school. 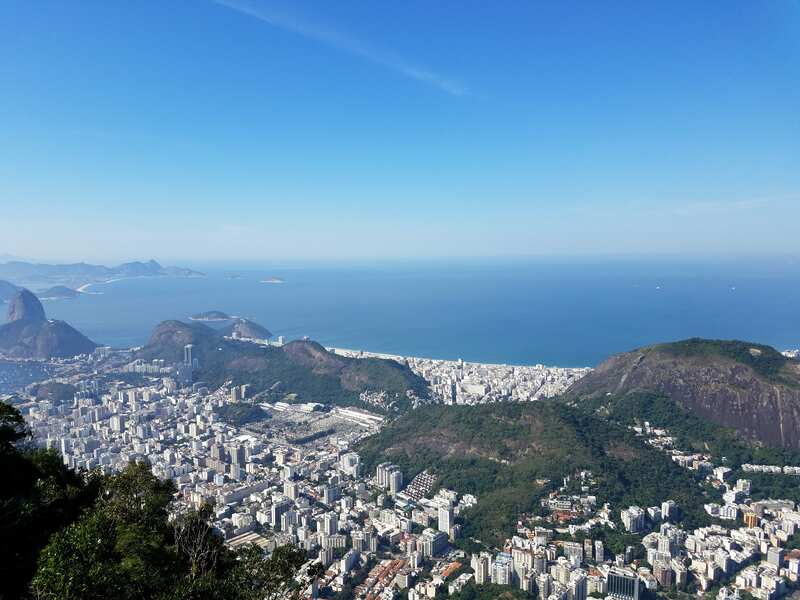 I traveled to Brazil, specifically the cities of Salvador and Rio de Janeiro, as part of the OSU School of Music “Brazilian Experience” study abroad program. We learned through interacting with student musicians and master musicians about Brazil’s rich musical culture, along with the country’s history. I knew very little about Brazil before joining this program. The country’s history and culture are rarely discussed in American schools, and years of Spanish classes overlooked Brazil during history lessons for obvious reasons. I never thought that my first international adventure would be in Brazil, but I wouldn’t have traded it for the world. This trip completely changed my view of the country, and I quickly went from knowing nothing to feeling very attached to its people, its culture, and its spirit. Before our departure, our group took two weeks of classes on OSU’s campus, in order to prepare ourselves for our journey. This class consisted of Brazilian history lessons, Brazilian culture discussions, Portuguese lessons, and analysis of Brazilian music. Rather than going to the country blind, this coursework gave us the context we would need to fully appreciate what we would be seeing, hearing, and doing in Brazil. We had a more rich experience because of this added dimension to our program. The unique aspect of this study abroad program was its focus on music, which gave us opportunities few visitors to Brazil ever have. 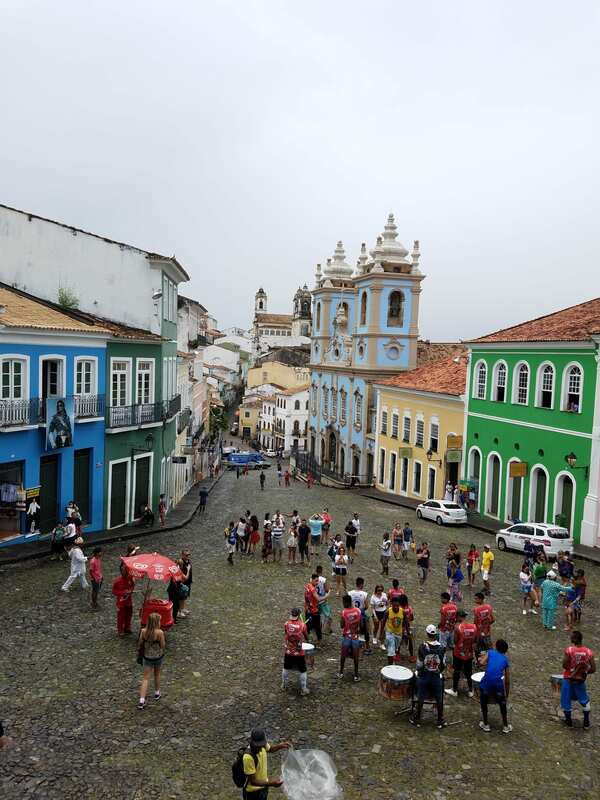 We learned about Brazilian music in small, personal classes with Brazilian master musicians, entered the poorest neighborhoods in Salvador to work with students of a wide variety of ages, and performed American music for children and adults as a sort of cultural exchange. These experiences made our trip feel more personal, and we got to know the people we met in a deeper way through our shared language—music. Despite language barriers, we were always able to connect with others through music. This helped me truly understand how music can break down borders and bring people together, no matter where they are from. 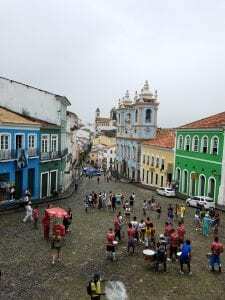 When we weren’t working with musicians in Brazil, we got to explore the cities of Salvador and Rio de Janeiro, both with and without tour guides. We had two very knowledgeable tour guides—one for each city—who gave us context and history to what we were seeing, along with helping us translate when we had communication issues with locals. We were also allowed to explore unguided, which allowed us to experience more directly what day to day life is like in Brazil. Having the deep knowledge of our tour guides along with our independent excursions helped us understand Brazil in a thorough way. I strive to be a global citizen, and this program has allowed me vastly different experiences from what I’ve had living in the U.S.. As a musician, learning about Brazilian music and history in the places where it grew has expanded my musical palate and introduced me to an entirely new world of sound that I was unaware of before. In my professional career, I want to develop technology to further music and musicians across the world, and this STEP project gave me great insight as to what student musicians need to perform their art to the highest degree possible. I hope to return to Brazil one day, and explore more of the country that opened my eyes to the world. For my STEP Signature Project I traveled to Argentina to study abroad, learning a semester’s worth of information on history and culture in just under 3 weeks. 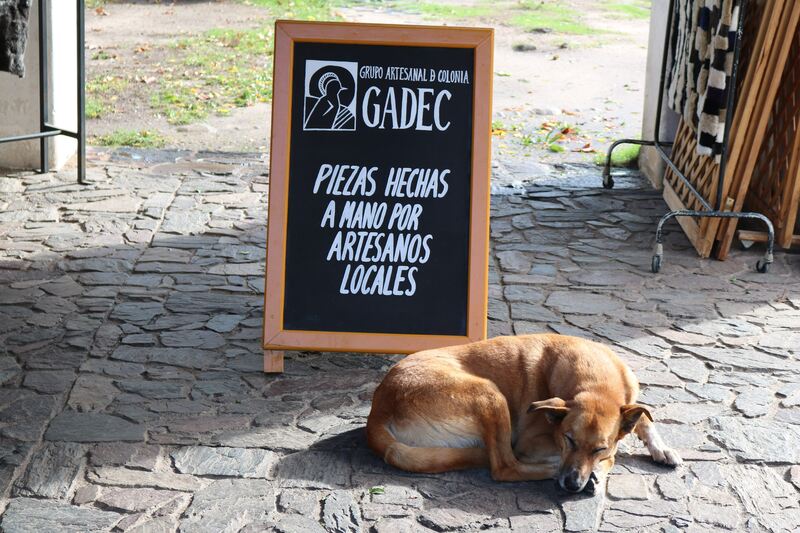 We also ventured to Colonia, Uruguay, and Salta, Argentina, but spent the majority of the time learning and exploring within the city of Buenos Aires, a city characterized by a long and complex history of economic/political volatility. A conclusion that I found myself coming to during many steps of the journey is that while everyone around the world has a different culture, background, and everyday way of life, we really are all the same. This sounds incredibly cliché, but there were so many moments where I forgot that I wasn’t in Columbus; and I think that I can attribute that sentiment to my realization that people are just people no matter where you go. And that doesn’t necessarily have to stop me from feeling the wonder, excitement and newness of encountering a new terrain/landscape. Since this was my first time ever leaving the United States, my first time flying alone, my first time being fully immersed in the Spanish language, my first time being so far from home, my first time being financially able to take a plane trip anywhere. As my departure date for the trip approached, I knew that I would be experiencing these things for the first time, which sparked so much excitement, but even more nervousness. When we first landed in the city of Buenos Aires, after a red-eye flight the night before, my first steps on Argentine soil were wet ones. The rainy and overcast weather made for a rather anticlimactic arrival. And our group walking tour of the neighborhood near our hotel felt like a regular day in the tourist-laden areas of NYC, or any major city in the US. In simpler words, after travelling all this way, I was underwhelmed. I put so much pressure on this trip to be this life-changing, grand, once in a lifetime experience. When that feeling didn’t strike me after immediately stepping off of the plane, or even the next day after that, I got a little discouraged. However, just 2 days later, my newfound friends and I took an hour long express ferry ride to a whole other country. 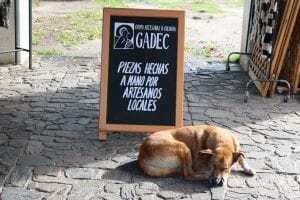 We traveled to Colonia, Uruguay for just one day, and it made me feel like a whole new person. There were little gems that made the visit so unique, like the neighborhood dogs who were super friendly and were everyone’s family, the colorful pastel storefronts that brought a smile to my face, the most beautiful sunset that perfectly settled over the river’s peaceful shore, the lack of traffic lights (due to there being no traffic whatsoever), and most of all the pace of life in this quiet and quaint little city was almost opposite that of the city life in Buenos Aires. I spoke for about half an hour total with at least 3 different vendors about my hair, which isn’t very unique to me because I’m used to it. As a black woman in a country with not nearly as many black people, I could see what sparked the curiosity. Through these conversations I got my first chance to talk with strangers instead of just passing them by on their hurried commute to work. And aside from the aesthetic and social joy I got from our visit to Colonia, it was cool to be able to learn the history of the country, and to see markers of how the nation’s past has shaped what the region is like today. 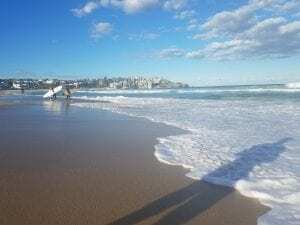 The discovery that not every corner of the world seems to be a mechanistic, money-driven metropolis gave me hope, broadened my outlook, opened my mind, and put me at ease. This realization that not every place is the same seemed to give me more room to appreciate the little differences in not only places and landscapes, but people as well. Argentina was my first time sharing a passion for exploration and learning with so many people in the same space at once, my first time meeting so many new friends so quickly, my first time being able to visualize living a life outside of Ohio. But perhaps the most impactful “first” was that this trip was my first time realizing that being a world traveler and learning about a culture and its roots through immersion, could be something accessible to me. All of these firsts overwhelmingly exceeded my initial expectations for how the trip would change my mindset. I saw myself as an open-minded person prior to this experience, but I think that that open-mindedness blossomed even further as I was given the chance to see more, do more, and feel a sense of liberation on a new level. I found that this type of experience only has to be “once-in-a-lifetime” if I let it. My STEP Signature Project was a study abroad experience to Liverpool and London, United Kingdom. On this trip, we examined the impact on popular culture by the British Rock Invasion of the 1960’s. We saw many of the sights and sounds that accompanied this explosion in British music. Taking this study abroad was one of the first times in my life that I had the opportunity to review myself and my life in a different and unique light, independent of any family or friends that I was used to traveling with in the past. Without a doubt, my understanding of myself, my assumptions about life, and my views of the world were all effected during and after this trip. To finally be able to travel on my own, with my own thoughts, really helped put life at home into perspective. Being in such a vastly different environment gave me time to step back and look at the direction I had been going in my life, it also allowed me to consider any changes that I might not have thought about from home. Something about being so far away from the life I knew really helped me look back at my life in ways I had never imagined before. It caused me to think in ways that I never had before, and I can say it’s led to decisions and ideas about the future that I couldn’t have expected to have before this experience. I can honestly say I returned home with a much different viewpoint about my life then when I had left. I can also say without a second hesitation that the changes this trip has brought to me as a person are beneficial in the short and long run. There is not a doubt in my mind that this experience has made me grow as a person and has made me worldlier, which I value. Though the experience has changed the way I think, and could change how I view relationships with those around me, I truly believe I have ended in a better place than before I departed. I haven’t really figured out much about life yet, but this trip really helped me find some beautiful meaning to it all, even if I couldn’t put it into words. I don’t regret a second of the time that was afforded me, and I would recommend a trip like this to anyone who would listen. The area I valued most about my trip was the immersion in a culture that was different than my own. 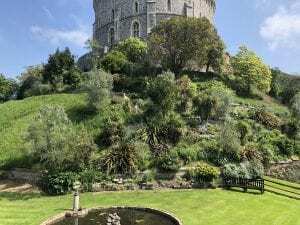 Though the United Kingdom has close relations with our country, it was still a chance to view lifestyles and ideas that were radically different than the ones usually observed at home in the US. This hadn’t been my first experience outside of the country but it was my first trip so far from home flying solo. Something about being on your own to contemplate the things you see day to day had an effect on how I could comprehend what I’d seen. 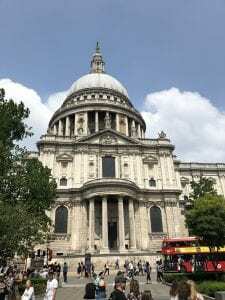 As we walked the streets of London, I realized life was different in all kinds of different ways, from the layout of the city, to the sprawling underground system, and even the store sizes. It was real evidence of an approach to life different from the one I had been accustomed to for so long. This was an important revelation for me. After having learned long ago to accept the only situation I had ever known, it was hard to consider anything outside of that small sphere. I would return home with a greater appreciation of the actual scale of things on an international level, and a much better understanding of the role our country plays in a global society. It was an interesting experience to be independent during, but I was still surrounded by some thoughtful, open students the entire time. I didn’t ever realize the benefit it would be to have some total strangers to go on a trip with. The 13 others that had signed up for this experience were all unknown to me at the beginning of the class portion, but it felt like the short time frame just pushed us to be open with one another, building ties more quickly. It was always more of a well-rounded experience when I could talk with my peers about the things I saw, and how they made me feel. 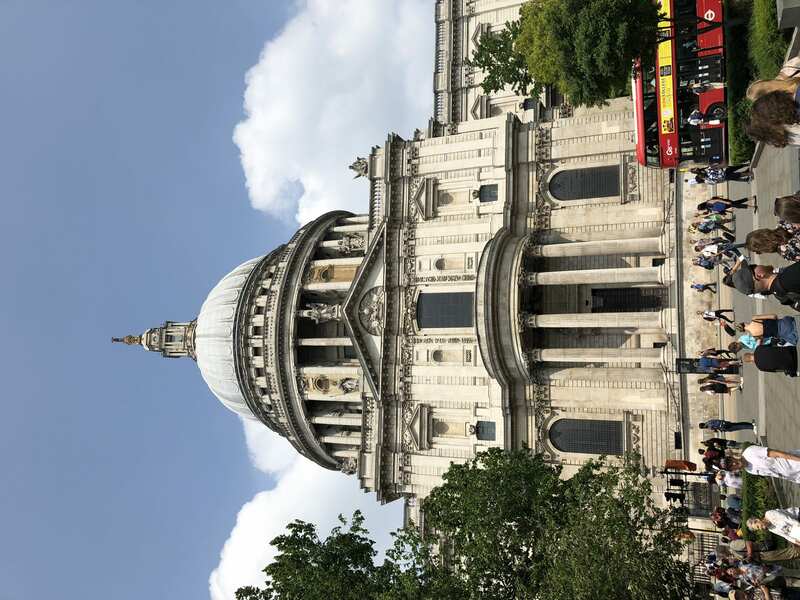 I quickly learned how rounded and thoughtful my classmates were as we viewed historic landmarks from both English and Beatles history. In the beginning, my first impressions were that we were some very different people. As the trip continued, I realized that there was obviously some reason that we had all signed up for a class discussing the history of a rock movement from 50 years ago. As I learned about each of my peers, I gained an appreciation for each of their interests, which helped me appreciate more during the extent of the trip. In retrospect, it was a perfect combination of class meaning, area of study, location, companions, and a hundred other factors that led to such a memorable trip. To study such a powerful movement and the long standing impact it had on our society was infinitely more meaningful when we could walk outside and see the history firsthand. A trip on legendary rock n roll is far more significant when you go with 14 other rock n roll fans. What greater way to let the music speak to me than by visiting the very spots where these legends made a name for themselves. It was one of the few times in your life when everything works out just right, and you have a trip to remember. I will not soon forget the long days in warm sun with new friends or late nights filled with rock and blues. I know I will reminisce for a long time on balcony talks and city lights while music drifted from the alley below. With confidence I claim, this study abroad opportunity was a resounding success. Experiences like these help understand the world a little better, and I believe understanding is as important as any other trait. As I spoke about above, sometimes I think people let themselves become very narrow minded, about topics big and small. Humans make errors, no one is immune; but if you never consider anything outside of the sphere in which you have always operated then you lack any understanding of different points of view, and there are many. I think it’s important to at least make an effort to recognize these different points of view, and how many people around the world see things in a different light. So often we let small differences in ideology or lifestyle dictate how we treat and interact with others. Things that start to seem so insignificant when you attempt to understand things from different perspectives. I think it would be a benefit to everyone if people would at least try to walk a mile before they make such divisive judgements. For my STEP Signature Project, I participated on the Outdoor Adventure Center’s Australia and New Zealand Leadership Expedition. Throughout this three-week long endeavor, we traveled throughout several destinations in both countries where we participated in a variety of activities ranging from snorkeling the Great Barrier Reef to sea kayaking on Lake Wanaka of New Zealand. 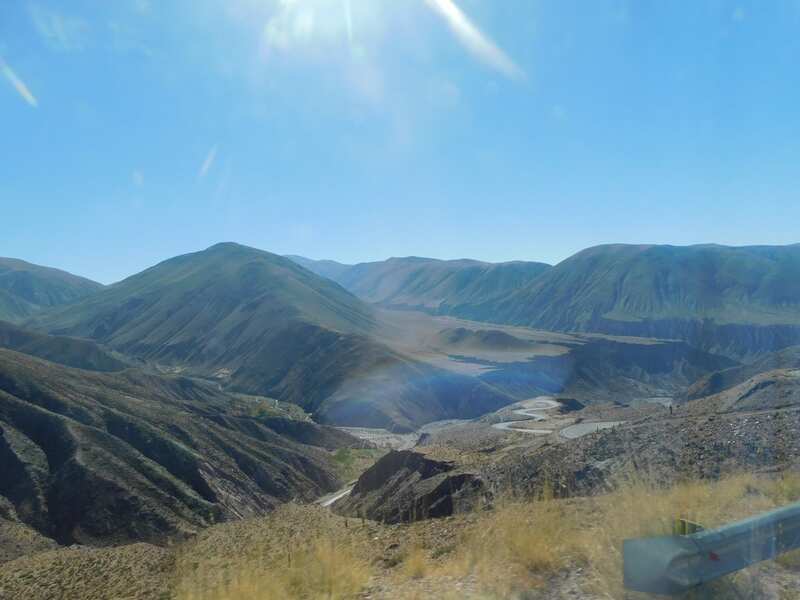 The leadership element of this trip came not only in the mental and physical challenge inherent in this adventure, but also through our frequent discussion of leadership theories and expectation to be a “leader of the day” for a portion of the trip. My personal expectations for myself were challenged through this experience in terms of my understanding of effective leadership and ability to push myself beyond my comfort zone. As mentioned above, each day our trip had “leaders of the day” or LODs that directed the days’ activities and made important decisions about the itinerary. After the day had concluded, we got feedback from the leaders from the OAC. I was selected to do this on two of the days of our trip and these were great learning experiences for me. I was able to gain confidence in my leadership skills through this experience and I was able to augment and practice the skills I had developed prior. I was also able to apply the leaders’ feedback from the first day so I could improve myself and the group on the following day. In addition to this, I learned the personal rewards of stepping out of my comfort zone in my perceived physical limits. This came in the form of new activities like challenging hikes, kayaking, and mountain biking, all of which I had no prior experience with. While skeptical before participating in these activities, my ability to try something new and succeed (to a degree) was pleasantly surprising to me and gave me a sense of newfound confidence in my abilities. My view of the world and diversity has changed ever since this experience as well. Through the cultural immersion on this trip, I was able to find many differences and similarities between our culture and theirs. In addition to this, I was able to meet so many different people from so many different walks of life; this was not only limited to the natives of Australia and New Zealand but also includes other tourists from places like Germany and the UK who surprisingly shared many similarities with me and my peers on the trip. Through the variety of different activities we participated on, I was able to meet individuals who took a passion of theirs like rafting, skydiving, or kayaking and made a career out of it; this is something that I found to be very admirable and, therefore, encouraged me to follow my passions as well. There is so much we can learn from the laid-back, friendly lifestyle that Australians live or the sense of adventure that seemed to be inherent in most everyone I met in Queenstown, New Zealand. Meeting people with these different lifestyles and views of the world was truly eye opening and gave me a hunger to move outside of my comfort zone in truly getting to know people of different backgrounds and cultures than my own. 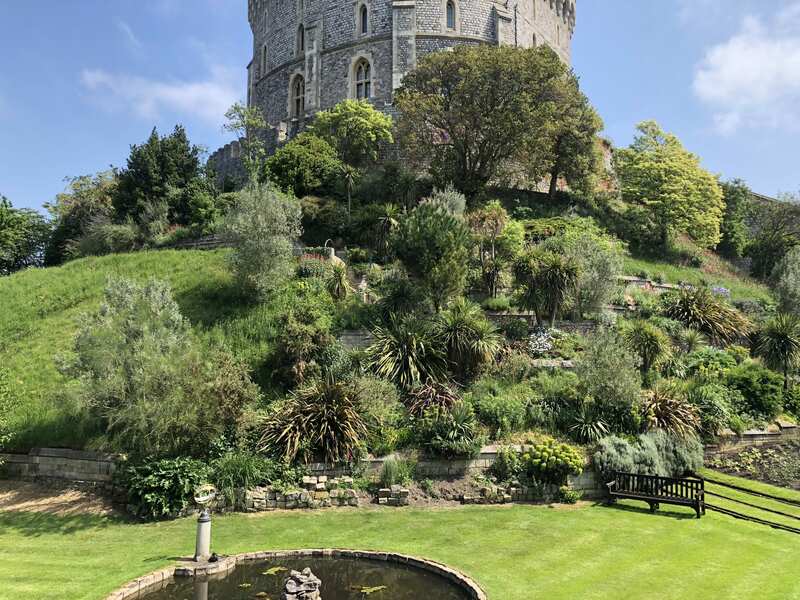 While our geographical location was truly breathtaking in most every way possible, I found that it was the people I shared these views with who made the experience truly memorable and transformative. 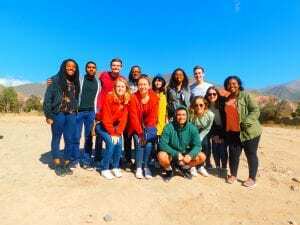 As mentioned above, I embarked on this journey with twenty-one other Ohio State students and two leaders from the OAC, all of whom I did not know before embarking on this trip. 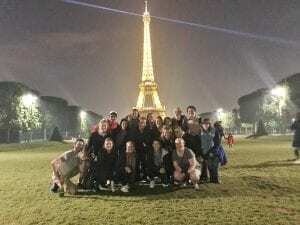 While we had the opportunity to mingle and get to know each other during the pre-trip meetings, I was still extremely skeptical and uneasy about traveling with a group of practical strangers for 3 weeks. While I encountered my fair share of physical challenges in this experience, overcoming my anxiety and fear of denial so as to get to know 21 strangers was by far the most challenging mental aspect for me. I was urged to step out of my comfort zone from day one and I haven’t left since then! Although it initially seemed like a daunting and exhausting task, my group members made it easy to push myself in this way; they truly were and continue to be some of the most fun-loving, humorous, friendly, and accepting people I have ever had the pleasure of knowing. I have no doubt that stepping out of my comfort zone in this way allowed me to meet some life long friends. This encounter with getting to know a group of strangers also taught me a lot about diversity. I learned that, even when I don’t have a lot in common with someone (whether it be major, hobbies, likes/dislikes), that they can still prove to be a person well worth getting to know. There were several people in my group that I initially misperceived and judged to be incompatible with me and this initial judgement could not have been more incorrect. As I spoke about earlier, my experience also brought me a greater understanding of the world and different paths people may take in it. I was able to learn these lessons about geographic and occupational diversity mostly through interactions with the natives of both countries. While on our adventures in Australia, I had the opportunity to speak with and learn from several of our guides in each respective activity. Some of these people included my skydiving tandem (no better way to get to know someone than to jump out of a plane with them), our whitewater rafting guide, and our surfing instructors in Sydney. While each of these people came with their own life stories, I was able to find one thing in common with all of them: they all embraced their passions and followed them despite obstacles in their paths. Every single one of these guides were so passionate about their work and it showed through their love for the job. While maybe not as monetarily rewarding or characteristic of what we are conditioned to see as “successful,” they were so rich in life and happiness that it was impossible not to idolize and envy them. This opened my eyes and showed me that, despite my previous belief that money and power were the best indicators of success in life, that the opportunity to wake up every day and follow your passions should be the end goal for all of us. Meeting these people challenged my previous beliefs in the world and helped me to focus more on holistic health and happiness. While my interactions with my group members and the natives challenged me mentally, this experience brought physical challenge as well. This physical challenge transformed me by giving me confidence in my ability to address the unknown, although seemingly impossible at times. 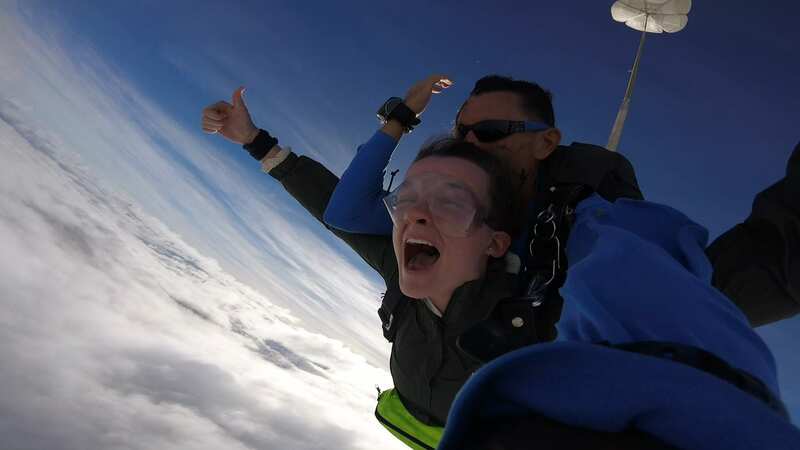 A lot of these physical challenges were mentally taxing in nature; while skydiving and bungee jumping took a great amount of physical skill (mostly from my instructors and tandem), pushing myself far beyond my threshold of comfort made them far more mental for me than physical. I was surprised by the mental strength it took on my behalf to “pull the trigger” for these activities; while challenging and transformative in this regard, it left me with the feeling that I could do quite anything after conquering those challenges. These were some of many instances where I was assured of my mental strength and capability to conquer the unknown. Additionally, I was physically challenged through the array of new activities we participated on during this adventure. While extremely fun and exciting, every day proved to be another physical challenge to overcome and another mountain to climb (sometimes literally). Whether it be through physically exerting hikes in and out of the Australian Grand Canyon, kayaking, or scuba diving, I was constantly learning new skills and pushing myself to use these to become proficient in the respective activity. Again, the fact that I was able to learn these new physical skills both safely and successfully assured me of the rewards of trying new things and expanding my horizons. Perhaps the most challenging of these activities was the afore mentioned hike in and out of the Australian Grand Canyon. While the hike down into the canyon was leisurely and full of beautiful views, the real challenge came when we started to make our ascension. After ascending stairs for nearly an hour, I was physically and mentally exhausted. It came to the point where every single step up was an accomplishment. I found that, even though physically exhausting, this hike was more of a mental game than anything; I found my strength to finish the hike through talking to myself and assuring myself of my ability to conquer what seemed impossible at the time. While challenging (and somewhat traumatizing) at the time, the feeling at the top of the canyon was more than worth the climb. I left that experience feeling as though I could take on any challenge, no matter how apparently impossible it may seem. This experience has guided and will continue to guide my thoughts and actions regarding my view of the world and my place in it. This experience has taught me to give new relationships a chance, even when they don’t seem to be likely; this accepting and open attitude has helped me gain 21 new friends and will hopefully improve my relationships moving forward. I plan to keep an open attitude and stray away from premature judgement as I am pushed to form new relationships. I think my view of diversity has been completely flipped upside down from these encounters; I now see it not as something to simply be tolerant of, but instead a redeeming attribute that can only help me to become a little more understanding of the world and the choices people make. I know this understanding and appreciation for diversity will be key in my future career in medicine; this was one takeaway I expected and wrote about in my STEP proposal, but I definitely underestimated the effect it would have on my day to day life. In meeting and interacting with the guides I mentioned above, I have been inspired to listen to my passions more and focus on what will truly define happiness in my future. This experience has challenged my view of what I want in life and showed me there are different ways to be “successful” depending on the person you ask. This is a wake-up call I may have needed at this point in my life; all of my decisions up to this point as far as my future career have been dictated by my faulty view of success. While I am very passionate about a career in medicine and helping others, this experience may attract me to a field or specialty of medicine that may not be the most financially rewarding, but lets me wake up every day knowing that I am doing what I love and am passionate about. This experience has allowed me to cut my previous associations between success and money. Finally, as discussed above, the physical challenges inherent in this trip assured to me that I am resilient and capable enough to step out of my comfort zone and succeed at activities and interactions that may be foreign to me. This newfound confidence is something I will take with me going forward so as to make the most out of every opportunity I’m given. This confidence in myself will not only pertain to my ability to take on new physical challenges; I will use it in personal interactions, explorations in my career, and as a call to bravery to take on situations that may be initially uncomfortable to me. Overall, this experience has challenged my view of the world and the role I play in it. Its forced me to reevaluate some initial biases and inclinations that I have developed in my life thus far. Its allowed me to embrace every opportunity with confidence and an attitude for adventure. I could not be more grateful for the STEP program in helping me to be transformed in these ways.